After the Great East Japan Earthquake, the energy problem encountering Japan have been getting worse. Nowadays it is improper to design a building without thinking deeply about its energy consumption issues. 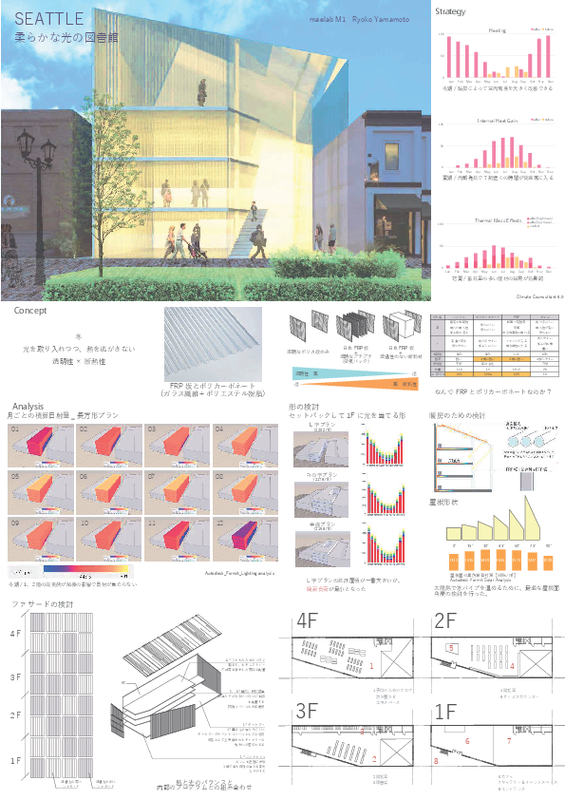 After all, by incorporating the free ambient energy, such as daylight, heat, and airflow into the design, it is possible to establish a new relationship between architecture and the built environment, in a way that is pleasant to the building users and the society. The library is a building that welcomes all the social spectrum, from all generations. Our core aim for the design is to provide a space where various activities can coexist comfortably while preserving energy. To achieve this goal, not only passive technologies such as natural lighting should be effectively harnessed, but they should be well backed up with the appropriate active technology systems, i.e. using building equipment and artificial lighting. In this studio, we provided 4 locations that have tangible climatic differences for students to opt from. All the locations are true locations in US cities. The variation in the climate characteristics creates different environmental challenges, where the derived designs will be influenced by this variation creating a rich and diverse outcome. 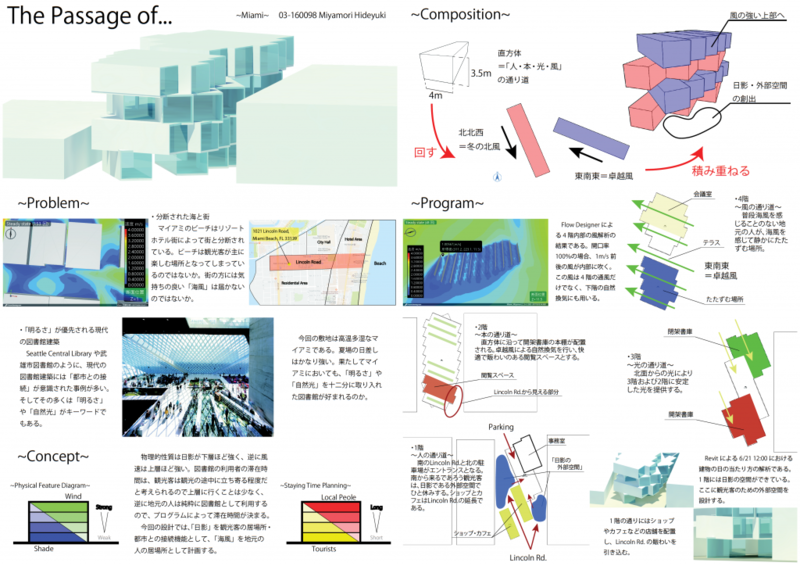 In this way, a student will observe the influence of the climate on their colleague’s designs. A student is to select one of the following site, that eventually dictates certain climatic features. 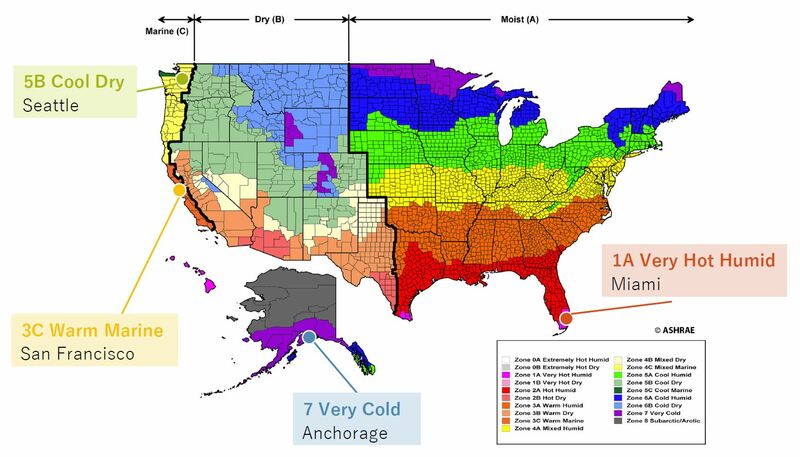 The Climate zones of America are based on ASHRAE169 classification. In order to further facilitate the sense of the space, the chosen sites are for real locations, with real boundaries and surrounding contexts. 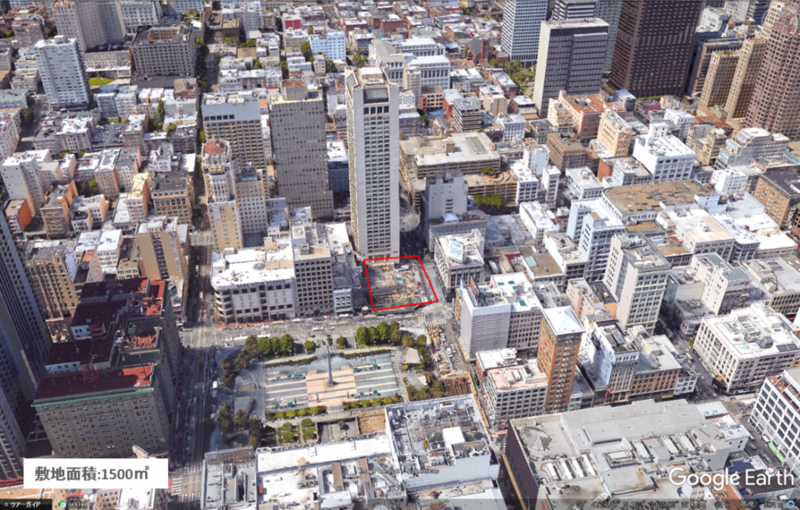 the images show the San Francisco site location and context. 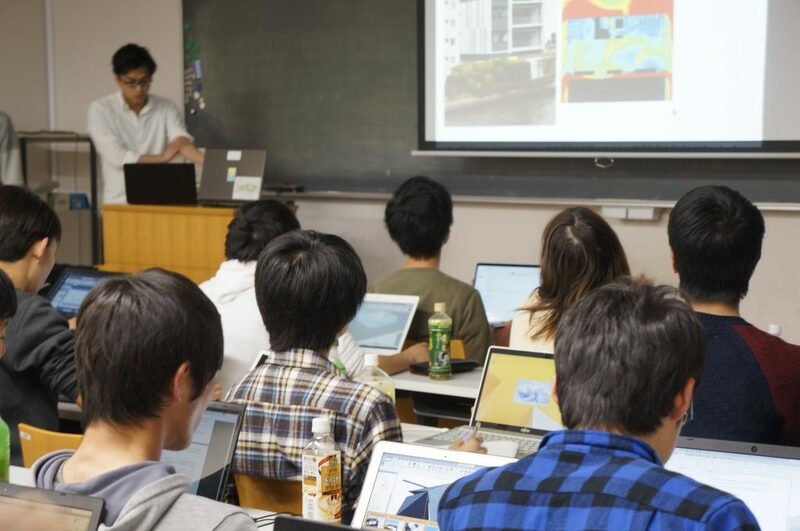 Following the latest trends in environmental design simulation, and joining BIM with BEM (Building Energy Modelling) tools, we structured our studio to expose students to such advanced workflows. 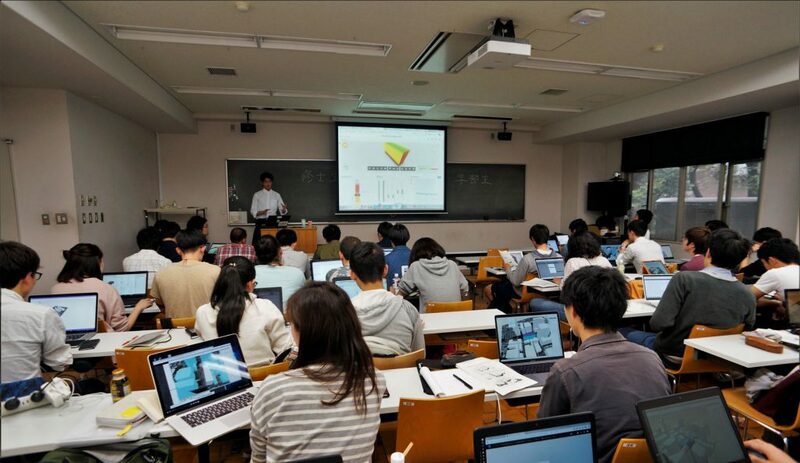 The proposed design process is back up with supporting affiliates of Autodesk-japan. The design workflow is depicted in the image shown herewith. 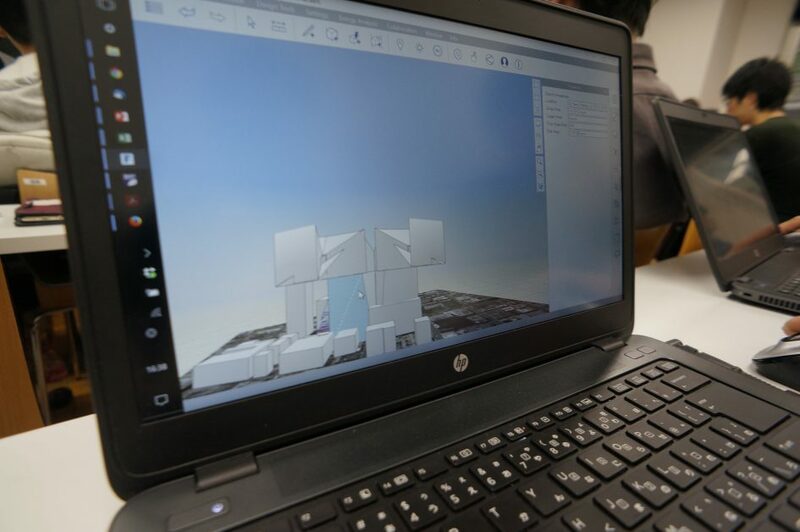 Students start exploring the climate characteristics and understand the climate challenges using climate consultant tool, plus the Autodesk online tool; Green Building Studio. The second step is to appreciate the site by developing some basic shapes in FormIT 360. This enables the student to manipulate the inaugural geometries upon monitoring the solar heat gain and shading on the annual and seasonal basis. 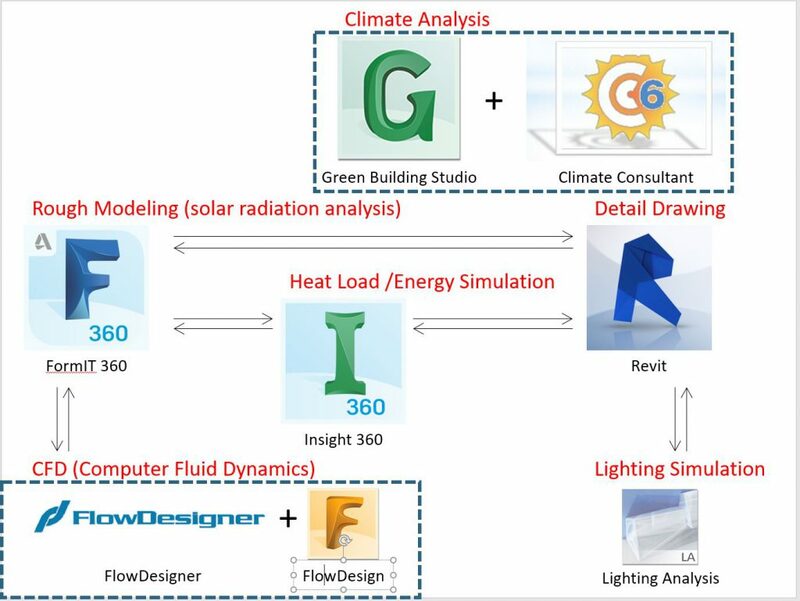 Thier main aim at this point is to tweak the building masses either to increase the solar heat gain or provide solar protection, based on the location needs.The subsequent advancement to the previous step is to investigate the energy performance of these basic geometrical compositions and how the context and climate influence the heating and cooling loads. This step is initiated when conveying the model from the FormIT to the Online Insight 360 domain. 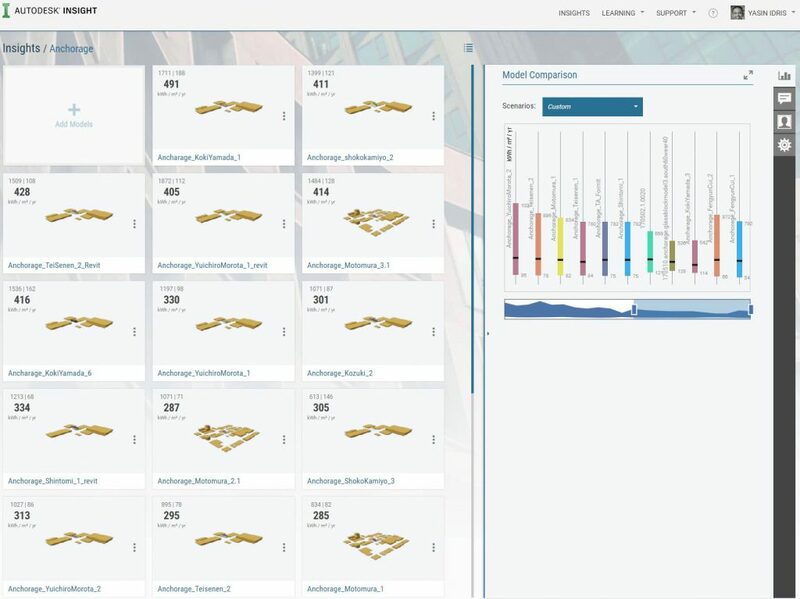 In Insight360 students can infer so many tips to improve their design’s performance. That is, having all the students work in one place, online, that is accessible to everyone, make students learn to form each other, where they start to build the sense of the energy performance, in terms of what makes some compositions perform better than others. 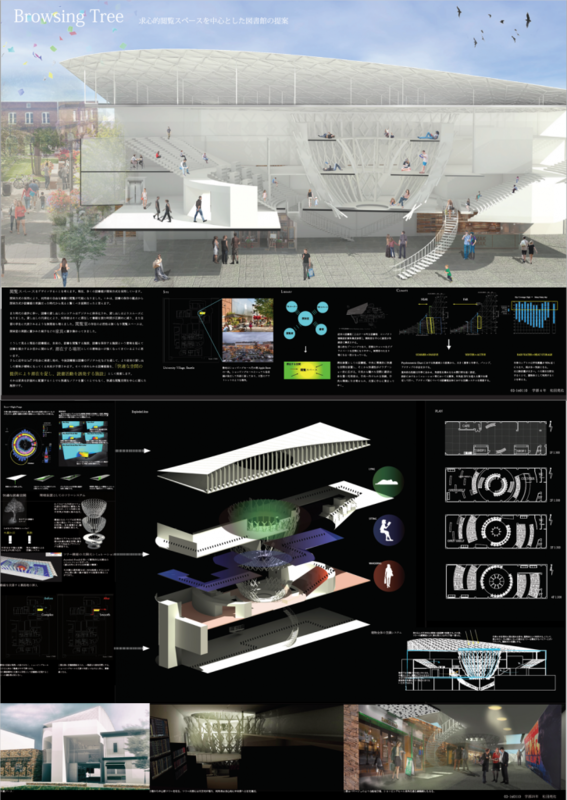 This open platform and transparent platform incredibly enhances the connection and arguments between students, all trying to justify the reasons behind good and poor energy performances between their designs. One will certainly make use of the handy sensitivity analysis that informs the student of which parameter influence the energy consumption the most. 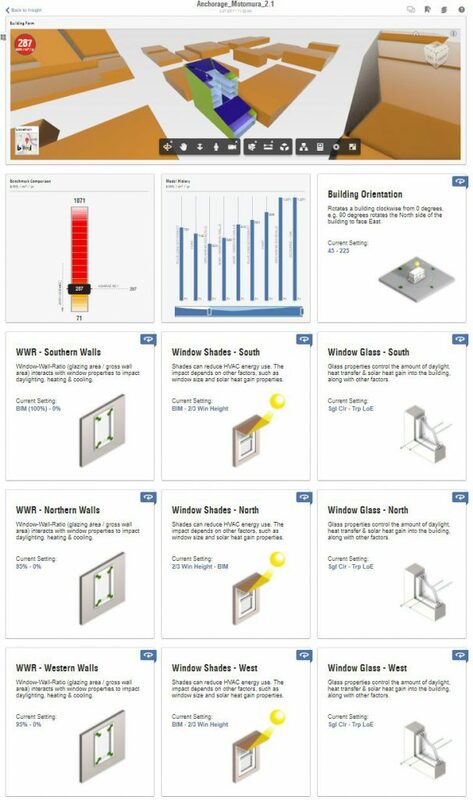 For example, the online tool shows the sensitivity analysis of the WWR (Window to Wall Ratio), the glazing type and the hading elements projection in all directions, as well as the building orientation, the walls, and roof constructions and so forth. Such sensitivity analysis is easy to build, yet very informative. The model history bar chart comes into play when one start exploring the various scenarios and start having many of them. Having all the scenarios in a history record keeps students focused on the target of reducing the energy budget, and most importantly, develops the intuition of how the design elements correlate and how do they perform as one entity. 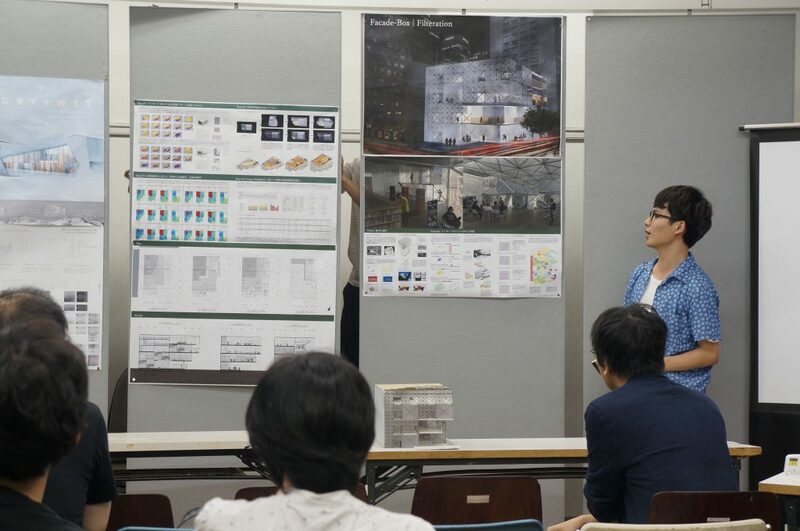 At the end of the day, the studio program produced excellent library projects, that have excellent energy performance, since they were primarily informed by the local site environments. 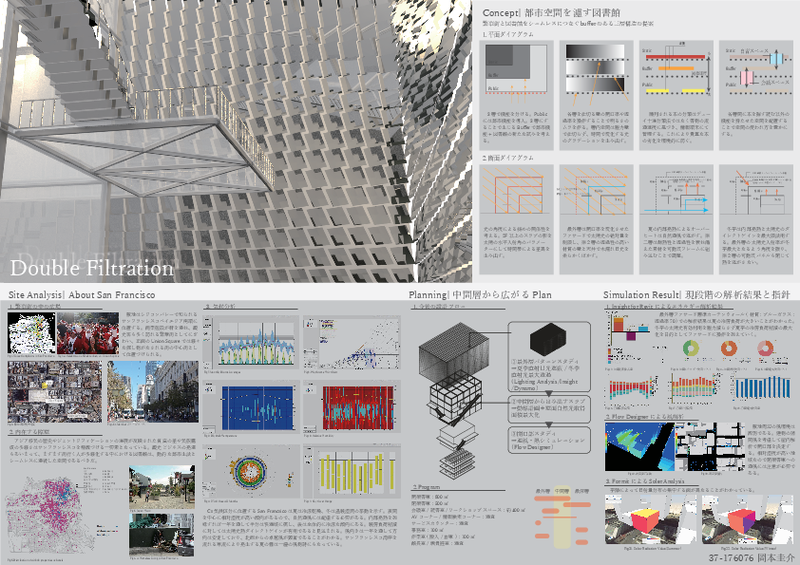 Here is a model of one of these captivating projects designed by Mr. Fujiwara, Ryo and some of the selective panels for other students as well.